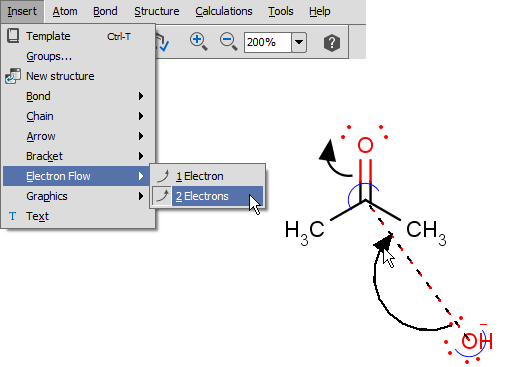 Electron flow arrows show the actual direction of motion of the electrons. 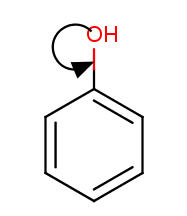 They can point from an electron or lone pair of an atom or from a bond to another atom or bond or even to an incipient bond (formed after the electron transition). Select the destination: drag the arrow while holding down the mouse button and release the button over the destination to finalize the electron flow arrow. an incipient bond between this atom and any other atom. an incipient bond between an atom belonging to this bond and any other atom. 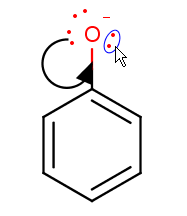 If one endpoint of the electron flow arrow is in an S-group and the other is not, the arrow has to connect to the attachment point of S-group. 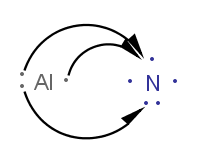 the atom label if neither radicals nor lone pairs are displayed on the atom. 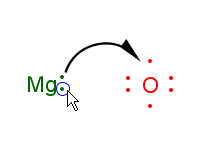 If the atom has more than one radical and/or lone pair, the user is free to decide from which electron to start the single electron flow arrow. 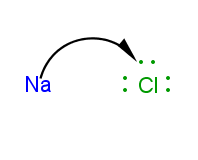 the atom label if the atom does not have any charge and lone pairs are not displayed. If the atom has more than one lone pair, the user is free to decide from which lone pair to start the electron pair flow arrow. 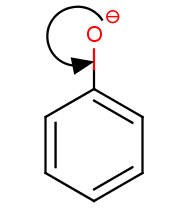 no more than one electron pair flow arrow can start from a lone pair. If the source is a bond, the origin of the electron flow arrow is the midpoint of the bond. 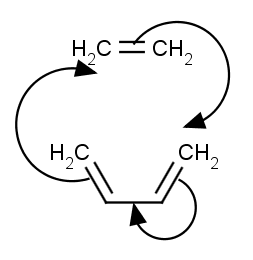 the midpoint (single electron flow) or the 3/4 point (electron pair flow) of the distance between two atoms if the destination is an incipient bond.